Health activists have waged a decade-long war on sodium, citing its role in high blood pressure and cardiovascular risks. They've urged consumers to avoid foods that have high sodium content. International researchers have produced a study that takes a contrary view. Yes, too much sodium is harmful to people with high blood pressure, but they maintain that a low-sodium diet for everyone else is not only not beneficial, but may be harmful, increasing cardiovascular risk and even death. The study, which may prove to be controversial, included more than 130,000 people from 49 countries. It was led by researchers at McMaster University and Hamilton Health Sciences, in Canada. The researchers focused on the relationship between sodium consumption and death, heart disease, and stroke. What made the study different was the separation of the subjects into those with high blood pressure and those with a normal blood pressure reading. The results found that subjects who had a reduced sodium consumption level were more likely to have suffered a heart attack, stroke, or death. The take-away from the study, Mente says, is a low-sodium diet is best used for people with high blood pressure, but not the public in general. This conflicts with current medical conventional wisdom. The Mayo Clinic staff notes that Dietary Guidelines for Americans recommends limiting sodium to less than 2,300 mg a day. But the staff says “less is usually better,” especially for consumers who are have a sodium sensitivity. “If you aren't sure how much sodium your diet should include, talk to your doctor or dietitian,” the staff says on the Mayo Clinic website. Without mentioning the Canadian study, the American Heart Association (AMA) has underscored its belief that all people should reduce sodium consumption. It says its lifestyle guidelines on sodium reduction were based on more than 30 scientific studies. But the Canadian researchers say their findings are conclusive, showing that risks associated with low-sodium intake, which they define as less than three grams per day, are consistent whether or not someone has high blood pressure. They state that there is a limit below which sodium intake may be unsafe and the risk associated with high sodium consumption appears to only affect those with hypertension. For years, health officials and consumer advocates have been urging restaurant chains to go easy on the salt, but a study finds those appeals have largely fallen on deaf ears. A review of 136 meals from 17 top restaurant chains finds that the companies have reduced sodium on average by 6% between 2009 and 2013, or just 1.5% per year. The nonprofit Center for Science in the Public Interest says that the progress has been slow and inconsistent. The biggest reductions in sodium were posted by Subway, Burger King, and McDonald's, but KFC and Jack in the Box actually increased sodium by 12.4% and 7.2%, respectively, in the sample of meals reviewed. At table-service chains such as Red Lobster, Chili's, and Olive Garden, it's easy to find meals in the ballpark of 5,000 mg of sodium — more than most people should consume over the course of three days. CSPI says that these alarming levels are one reason why the Food and Drug Administration should set reasonable limits on the amounts of sodium that can be used in various categories of food. "For far too long, the FDA has relied on a voluntary, wait-and-see approach when it comes to reducing sodium in packaged and restaurant food," said CSPI executive director Michael F. Jacobson. "If chains like KFC, Jack in the Box, and Red Lobster are actually raising sodium levels in some meals, FDA's current approach clearly isn't working." Despite the progress, 79% of the 81 adult meals in the study still contained more than 1,500 milligrams (mg) of sodium. A majority of Americans, including people 51 and older, people with high blood pressure, and African-Americans, should try to limit themselves to 1,500 mg of sodium per day, according to the Centers for Disease Control and Prevention. At higher levels, sodium promotes high blood pressure, stroke, heart attacks, kidney disease, and other health problems, making it the single most harmful ingredient in the food supply, according to CSPI. The average sodium in 55 kids' meals dropped by just 2.6%. Subway showed dramatic progress between 2009 and 2013, reducing sodium in every one of the 10 meals reviewed in the study. In 2009, a meal of a Footlong Ham Sandwich, a bag of Lay's Classic Potato Chips, and a Diet Coke had 2,730 mg of sodium. In 2013, that meal had just 1,895 mg of sodium. In 2009, a Subway meal of a six-inch Veggie Delite Sandwich, Apple Slices, and a Coke had a very reasonable 500 mg of sodium. In 2013, it had just 295 mg of sodium. The chain showed similar progress in the four children's meals reviewed in the study, which were reduced in sodium by an average of 29%. While on a business visit to the office of ConsumerAffairs.com's health adviser, Dr. Henry Fishman last summer, I spied a blood pressure cuff on a nearby table. I had battled high blood pressure for years, but nothing I did resulted in acceptable readings. I had lost weight, started exercising, but wasn't yet on any medication. "Hey, would you take my blood pressure?" I asked. He applied the cuff to my left arm and squeezed the bulb, forcing air into it. As the air slowly escaped, he looked me in the eye and spoke, both as a doctor and a longtime friend. "Do you have a will?" he asked. I must have looked startled because he added, "look, you can do something about this or you can die of a heart attack in five years, it's up to you." My blood pressure, he told me, was 160/101 a level he called "lethal." I took his advice and saw my doctor, who agreed I needed to do something and prescribed 40 minutes of exercise four days a week and put me on an ACE inhibitor. He explained that my blood pressure should be no more than 130/80. Preferably, he said, it should be a lot less. The higher number in a blood pressure reading is called the "systolic" pressure, and measures the pressure of the blood flowing through the veins when the heart beats. The lower number is called the "diastolic" number, and measures the pressure when the heart is at rest. When the pressure is too great, it can cause the heart muscle to grow and enlarge, causing all kinds of problems, including heart failure. It also places strain on blood vessels, increasing the risk one of them could rupture, leading to a stroke. I began taking the ACE inhibitor a drug that increases flexibility in blood vessels - and worked out four days a week. I also attempted to lose a few more pounds and began monitoring my blood pressure on a daily basis. My blood pressure came down, but not enough. A typical reading, taken early in the morning, was around 146/89. During the day, especially after a meal, it would spike even higher into the red zone. Then in early January, while researching a story for ConsumerAffairs.com, I came across some medical research that suggested some people have a hyper-sensitivity to sodium. Even normal levels of sodium consumption cause high blood pressure readings. It's unclear whether it's a genetic thing, or is triggered in other ways. In these people, the body doesn't metabolize sodium very well, resulting in excess water in the blood stream, making the heart work harder. Removing the sodium seems to solve the problem, the research said. Sodium. Salt. Sure, I'd heard that too much sodium could raise your blood pressure, but how much is too much and how much do you really need? Unfortunately, there's conflicting information on the subject. The USDA minimum recommended daily amount is 2400 mg, but other sources suggest that could be excessive. "Since the minimum physiological requirement for sodium is only 500 mg daily, Americans well exceed their sodium intake," say health experts at Northwestern University. The average adult can easily consume 3,000 milligrams or more a day if they aren't paying attention. There can be over 1,700 milligrams in one large dill pickle. Maybe for most people, 2400 mg of sodium a day is just fine. But for me and perhaps many others it's way too much. I was about to reach that conclusion, and end the long, frustrating search for the cause of my high blood pressure. On January 4, 2008 I cut as much sodium out of my diet as possible, trying to keep levels down to 500 mg or less. On the morning I started my regimen my blood pressure was 142/87. The next morning I was stunned to see it had fallen to 127/80, and 120/77 the following day. The following week I was getting readings of 115/72. The only thing I was doing differently was drastically reducing sodium. To do that I tried to avoid eating anything out of a box, a bag or a can. Breakfast now consists of oatmeal with raisins, walnuts and a banana. For lunch I have a salad or a baked potato. Dinner is grilled chicken or fish and steamed vegetables. I read labels, looking for products with the lowest amount of sodium. If I go off my sodium-restricted diet for a day, usually by accident, my blood pressure spikes up again. As long as I keep sodium consumption to below 500 mg a day, I have the blood pressure of an 18-year-old. It bears repeating that my limited sodium intake may be too little for most people. But if you have a sodium sensitivity, very little sodium performs the tasks in your body that more sodium is required to perform in others. However, you shouldn't drastically alter your diet without first talking to your doctor. Still, a sharply lower sodium intake may provide hope for many people who, like me, couldn't figure out why their blood pressure was off the chart. And more and more research emphasizes the sodium-blood pressure link. In 2000, a study by the National Heart, Lung, and Blood Institute established a direct connection between lowering sodium intake and lowering blood pressure. In the study, the lowest sodium level tested, which produced the lowest blood pressure, was well below the currently recommended intake of 2,400 milligrams a day. Why not eliminate sodium altogether from your diet? Because your body needs it. Without sodium, nerves and muscles would cease to function, the absorption of major nutrients would be impaired, and the body would not be able to maintain adequate water and mineral balance. High blood pressure can be a difficult disease to tame because there are so many factors that can influence it. But for millions of people who haven't been able to figure out what's causing it, curtailing sodium intake may provide results. There's little dispute that most of us use too much salt. If you're a doubter, just check the nutrition labels of the foods you eat. Get out your calculator and add up the amount of salt in each product. That that should convince you. And that doesn't even take into consideration what you pour of of a salt shaker at every meal. Need a good reason to cut back on sodium? How about your life? New research in the American Heart Association journal Hypertension finds less sodium in the U.S. diet could save 280,000 to 500,000 lives over 10 years. Using computer simulations and models, researchers projected the effects of small (about five percent of a teaspoon of salt per person per day), steady annual reductions of sodium consumption in the U.S. diet, reducing sodium consumption by 40 percent -- to about 2,200 mg/day over 10 years. Three research groups contributed to the study, each using a different approach for their simulation. One approach used observational cardiovascular outcome follow-up data, while the other two based their projections on established evidence that salt reduction lowers blood pressure. These two groups inferred the cardiovascular effects of reducing sodium from data about the relationship of blood pressure to cardiovascular disease. "The research groups used the same target populations and baseline death rates for each projection, and our study found that the different sources of evidence for the cardiovascular effects of sodium led to similar projected outcomes," said Pamela Coxson, Ph.D., lead author of the study and a mathematics specialist in the department of medicine at the University of California San Francisco (UCSF). "It is helpful when three research groups use different approaches and come up with similar results," said Kirsten Bibbins-Domingo, Ph.D, M.D., senior author of the study and associate professor of medicine at UCSF and director of the UCSF Center for Vulnerable Populations. The three approaches included a gradual reduction of sodium by 40 percent, instant reduction of sodium by 40 percent or instant reduction of sodium to no more than 1500 mg/day. According to the researchers, only the first scenario -- gradual population-wide reduction of sodium by 40 percent over ten years -- is a potentially achievable public health goal. Currently the U.S. food supply makes it difficult for consumers to choose lower sodium foods and achieve recommended daily levels. Americans consume an average 3,600 mg of sodium a day, with about 80 percent coming from commercially prepared and processed foods, according to the researchers. "These findings strengthen our understanding that sodium reduction is beneficial to people at all ages," Coxson said. "Even small, gradual reductions in sodium intake would result in substantial mortality benefits across the population." "Such gradual reductions could be achieved through a combination of consumer education and food labeling, but should likely also include regulation to assure that lower sodium options are available for US consumers," said Bibbins-Domingo. The association also favors robust sodium standards for foods served in schools and purchased by governments and encourages the food industry to make meaningful efforts at reducing sodium which would provide consumers with greater choice in foods and a healthier overall food environment. There are a number of healthy recipes and tips for helping you reduce salt in your diet. Without seeing any facts and figures, most of us will admit we use too much salt. The food we buy is loaded with the stuff -- and most of us dump more of it on as we sit at the table. But exactly how much is too much? According to research presented at the American Heart Association's Nutrition, Physical Activity and Metabolism and Cardiovascular Disease Epidemiology and Prevention 2013 Scientific Sessions, 75% of the world's population consumes nearly twice the daily recommended amount of salt. Global sodium intake from commercially prepared food, table salt, salt and soy sauce added during cooking averaged nearly 4,000 mg a day in 2010. The World Health Organization recommends limiting intake to less than 2,000 mg a day and the American Heart Association recommends staying under 1,500 mg a day. "This study is the first time that information about sodium intake by country, age and gender is available," said Saman Fahimi, M.D., M.Phil., lead author and a visiting scientist in the Harvard School of Public Health's epidemiology department in Boston, Mass. "We hope our findings will influence national governments to develop public health interventions to lower sodium." Cardiovascular disease is the number one cause of death in the world; excess sodium intake raises blood pressure. High blood pressure is one of the major contributors to the development of cardiovascular disease. Among women and men, average sodium intake exceeded healthy levels in almost all countries, researchers said. Kazakhstan had the highest average intake at 6,000 mg per day, followed by Mauritius and Uzbekistan at just less than 6,000 mg per day. Kenya and Malawi had the lowest average intake at about 2,000 mg per day. In the US, the average intake was about 3,600 mg a day. One hundred eighty-one of 187 countries, representing 99 percent of the world's population, exceeded the World Health Organization's recommended sodium intake of less than 2,000 mg a day; and 119 countries, representing 88 percent of the world's population, exceeded this recommended intake by more than 1,000 mg a day. All countries except Kenya exceeded the American Heart Association recommended sodium intake of less than 1,500 mg a day. The researchers analyzed 247 surveys of adult sodium intake to estimate sodium intake, stratified by age, gender, region and nation between 1990 and 2010 as part of the 2010 Global Burden of Diseases Study, which is an international collaborative study by 488 scientists from 303 institutions in 50 countries around the world. And how do you know how much sodium is in the food served at your favorite restaurant? Fasano notes that many chain restaurants are putting the nutritional content of their foods -- including calories, fats, sodium and sugars -- on their Websites, or it’s available by asking for it. The Spot the Block campaign challenges tweens from 9 to 13 to use the Nutrition Facts Label (the "block") to make healthy food choices. New studies support limiting daily sodium (salt) consumption to less than 1,500 milligrams, according to a new American Heart Association presidential advisory. The advisory, published in the American Heart Association's journal Circulation, is based on a thorough review of recent laboratory, animal, observational and clinical studies that reaffirm the association's 2011 advisory that limiting sodium (salt) to less than 1,500 mg per day is linked to a decreased risk of high blood pressure and cardiovascular disease, including stroke. "Our recommendation is simple in the sense that it applies to the entire U.S. population, not just at-risk groups," said Nancy Brown, chief executive officer of the American Heart Association. "Americans of all ages, regardless of individual risk factors, can improve their heart health and reduce their risk of cardiovascular disease by restricting their daily consumption of sodium to less than 1,500 milligrams." Some recent reports have led to confusion and mixed messages about the healthiest levels of daily sodium for all subgroups of the population. "People should not be swayed by calls for a change in sodium intake recommendations based on findings from recent studies reporting that a reduction in sodium consumption does not improve cardiovascular health," said Paul K. Whelton, M.D., M.Sc., lead author and Show Chwan Professor of Global Public Health in the Tulane University School of Public Health and Tropical Medicine in New Orleans. "Our detailed review of these studies identified serious methodological weaknesses, which limit the value of these reports in setting or revising sodium intake policy. "Our focus should be on finding effective ways to implement, not change, the existing American Heart Association policy on sodium intake." Reducing sodium intake can help fight high blood pressure, which affects more than 76 million U.S. adults and is a major cause of cardiovascular disease. Yet, most American adults and children consume sodium far in excess of their physiologic needs and guideline recommendations -- with an average daily intake more than 3400 mg per day. Only individuals, primarily those with specific, rare disorders, who have been advised by their physicians to do otherwise, should not reduce their sodium intake to 1500 mg/day, but this is difficult in the current environment. Most of the sodium the public consumes is "hidden" in processed and prepared foods. The American Heart Association advocates improved nutritional labeling of sodium content and stringent limits on sodium in all foods -- fresh, processed and prepared -- provided to everyone and in particular in schools, marketed to children and purchased by employers and government programs. Study authors conclude that a comprehensive approach to cardiovascular health promotion and disease prevention is multifactorial that includes regular physical activity, healthy body weight, managing blood pressure, controlling blood sugar, avoiding tobacco and a healthy diet. Sodium reduction is a very important component of a healthy diet. "An integral component of our campaign to improve the nation's cardiovascular health by 20 percent by 2020 is a nationwide decrease in sodium consumption," said Donna Arnett, Ph.D., M.S.P.H., president of the American Heart Association. "It will require a joint effort between health organizations, policy makers and the food industry to achieve this goal by creating an environment conducive to helping all Americans make healthy, low-sodium food choices." What is it about trying to lower our salt intake that’s so difficult? Most of us have heard the warnings about getting too much sodium, yet many of us still choose to pick up that salt shaker or order something from a restaurant that we know is just loaded with salt. However, there’s a good portion of consumers that take heed of the medical warnings, and try their very best to incorporate meals that are healthier and try to use other flavors, like low-sodium options or natural ingredients to season their food. And mostly, the sodium-conscious consumer does their best to avoid those store-bought items that are known to be plagued with salt -- like potato chips, frozen TV dinners or canned soups. By doing this, most would probably assume they’re being successful in their mission at cutting down the amount of salty foods they're bringing into their homes. But what about those foods that aren’t typically thought of as high in in sodium? Meaning, those foods that don’t taste salty often fall below the radar. Like breakfast cereals for example — although many of them are lumped into the healthier category by many consumers, some of them can have tremendous amounts of salt that you usually can’t even taste. 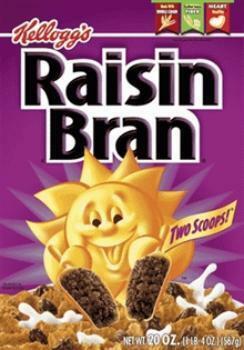 Take Kellogg’s Raisin Bran, which contains 210 milligrams per serving. That can add up if you’re eating it daily, and some of us like to eat cereal as a snack, downing a couple a bowls per sitting, and many of us do this because we think it’s healthier than tearing through a bag of chips. And you can’t forget about children’s cereals, which always get a bad rap for being too high in sugar, and rightfully so, but parents should be equally concerned with the high sodium levels in some brands like Cinnamon Toast Crunch, made by General Mills, which has about 220 milligrams of sodium -- and we all know how much kids love to scarf that stuff down by the boatload. According to the Centers for Disease Control and Prevention (CDC), at least half of the U.S. population shouldn’t be consuming more than 1,500 milligrams of sodium per day, and that 50 percent of the population is made up of people who have a history of high blood pressure, those with kidney problems, African-Americans and diabetic patients. The other half of the population shouldn’t exceed 2,300 milligrams a day, says the CDC. The government agency also explained the kinds of foods that aren’t normally talked about in high sodium discussions can be even more dangerous since people eat them more, thinking they’re staying away from overly salty foods. In the CDC’s list of Dietary Guidelines for Americans, it shows just how commonly eaten foods, that aren’t usually considered salty can really truly add up. On the informational sheet, it shows that during the course of a day a bowl of cereal in the morning, a soup and sandwich for lunch and a quick slice of pizza with a salad can equate to over 3,000 milligrams of sodium for that one day, which is twice the recommended amount for some. And although one may say, “Well, I’m not surprised a soup, sandwich and a slice of pizza has so much sodium,” they may not remember or realize that much of the salt is in the salad dressing, the bread for the sandwich and that big bowl of cereal you had in the morning. Also below the high sodium radar are many of the popular coffee drinks that consumers buy these days, say experts, so consumers should be mindful of how much sodium they’re consuming if they’re making a daily trek to Starbucks or Dunking Donuts for a caffeine fix, especially some of the blended coffee drinks that have a high amount of sodium. Also, if you take a look at the sodium levels in many of today’s ready-made pancake mixes, you’ll find they contain massive amounts of salt. 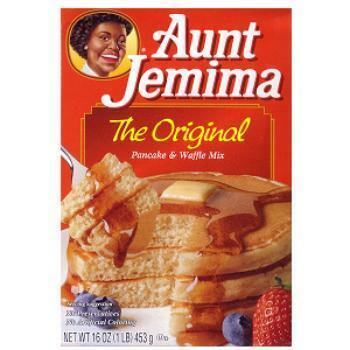 For example, a box of Aunt Jemima Original Pancake Mix has a whopping 740 milligrams per serving size, which reaches well over half of the recommended sodium intake for the day, so if you’re eating pancakes first thing in the morning, then you have what’s considered a normal lunch and dinner, there is a very good chance that you’ll exceed the 1,500 or 2,300 milligram count that the CDC suggests. And it’s certainly not just breakfast foods that are high in sodium and sometimes sneak past us. If you think you’ve successfully stayed away from too much salt on a given day, and decide to reward yourself after dinner with some dessert like cookies or prepackaged sweets, you could be getting way more sodium that you thought you were getting. Like Entenmanns Carrot Iced Cake, that has 210 milligrams of sodium per serving, which can really add up if you continuously indulge. The company considers a serving slice to be only 67 grams, which is pretty tiny. Also, who has such a small piece of cake and just one slice at that when trying to satisfy a sweet fix? A lot of muffins, donuts and candies are also high in sodium, and experts say consumers should consider these foods right along with those foods like potato chips or pretzels when trying to lower their sodium intake. On average, Americans consume about 3,300 milligrams of sodium per day and it’s safe to say that much of this sodium is coming from sources we're not even thinking of, say experts. Experts also say to keep reading nutrition labels on packages, cans, on restaurant menus and on restaurant menu boards, and don’t assume that just because foods don’t taste salty they aren’t just as high in sodium or even more so than those foods that we more commonly associate with being high in salt. By now, just about everyone knows that packaged foods and restaurant meals tend to be loaded with salt, putting consumers at risk of high blood pressure, heart disease and other bad outcomes. Yes, it's true. A study led by Joyce Maalouf of the Centers for Disease Control and Prevention (CDC) finds that nearly 70% of commercial pre-packaged meals and snacks for toddlers in the U.S. have high levels of sodium, which may present long-term health risks. “Our concern is the possible long-term health risks of introducing high levels of sodium in a child’s diet, because high blood pressure, as well as a preference for salty foods may develop early in life. The less sodium in an infant’s or toddler’s diet, the less he or she may want it when older,” Maalouf said. Maalouf and her colleagues analyzed 572 food products for infants and toddlers and analyzed the sodium level in each, with 210 milligrams of sodium per serving being considered as high. 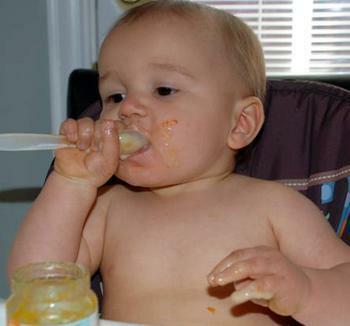 The study found that pre-packaged food for toddlers had higher sodium than the baby food. Nearly all commercial foods for 4- to 12-month-olds were relatively low in sodium. Vegetable and meat baby foods were less salty than pasta options. “Parents and other caregivers can read the nutrition facts labels on baby and toddler foods, to choose the healthiest options for their child,” Maalouf said. 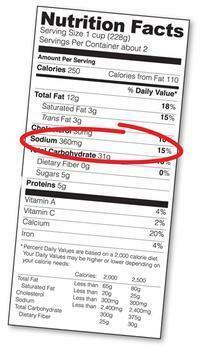 The American Heart Association recommends limiting sodium consumption to less than 1500 mg a day. There's been a major push the last few years to get Americans to consumer less salt in their but a new report from the Institute of Medicine (IOM) says it's important to not go too far in salt reduction efforts. 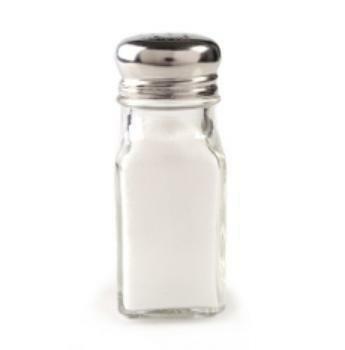 While it's true that many Americans consumer too much salt, evidence from the new studies reviewed by the IOM committee do not support reduction in sodium intake to below 2,300 mg per day, the IOM committee concluded. That finding is not going down too well with some health advocates. "What the committee failed to emphasize is that most Americans are deep in the red zone, consuming 3,500 to 4,000 milligrams of sodium a day," said Bonnie Liebman of the Center for Science in the Public Interest. "It's clear that those excessive levels increase the risk of high blood pressure, heart attacks, and strokes. Whether we aim for 2,300 or 1,500 milligrams a day is irrelevant until we move down out of the red zone." Whether the report emphasized it or not, the IOM committee did find that the average American consumes 3,400 mg or more of sodium a day – equivalent to about 1 ½ teaspoons of salt. The current Dietary Guidelines for Americans urge most people ages 14 to 50 to limit their sodium intake to 2,300 mg daily. People ages 51 or older, African Americans, and people with hypertension, diabetes, or chronic kidney disease – groups that together make up more than 50 percent of the U.S. population – are advised to follow an even stricter limit of 1,500 mg per day, the IOM committee said. These recommendations are based largely on a body of research that links higher sodium intakes to certain “surrogate markers” such as high blood pressure, an established risk factor for heart disease. 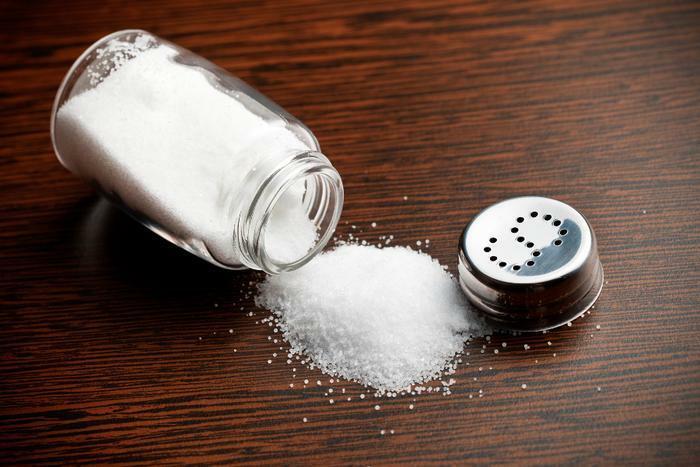 evidence indicates that low sodium intake may lead to risk of adverse health effects among those with mid- to late-stage heart failure who are receiving aggressive treatment for their disease. The committee found limited evidence addressing the association between low sodium intake and health outcomes in population subgroups, such as those with diabetes, kidney disease, heart disease, hypertension or borderline hypertension; those 51 years of age and older; and African Americans). On balance, the report said that the evidence does not support recommendations to lower sodium intake within these subgroups to or even below 1,500 mg daily. The report was sponsored by the Centers for Disease Control and Prevention (CDC). We're constantly being nagged to reduce our salt intake but a new study suggests that the levels recommended by federal agencies are "excessively and unrealistically low." Besides making food taste like cardboard, the low levels recommended by the Centers for Disease Control and Prevention (CDC) may actually do more harm than good, researchers say. Dr. Niels Graudal, the study's lead author, says the results are an important extension of the findings of a major 2013 Institute of Medicine (IOM) report, which cast doubt on the current CDC recommendations but failed to establish any specific optimum range of intake. "Our results are in line with the IOM's concern that lower levels could produce harm, and they provide a concrete basis for revising the recommended range in the best interest of public health," Graudal said. "The good news," he added, "is that around 95% of the global population already consumes within the range we've found to generate the least instances of mortality and cardiovascular disease." The study concluded that 2,645 – 4,945 mg of sodium per day, a range of intake within which the vast majority of Americans fall, actually results in more favorable health outcomes than the CDC's current recommendation of less than 2300mg/day for healthy individuals under 50 years old, and less than 1500 mg/day for most over 50 years. This study was a combined analysis of 25 individual studies, which measured results from over 274,683 individuals. Results of a study published in the New England Journal of Medicine last week made a lot of waves. It suggested that a low-salt diet might be harmful to your health. At least, that was the way it was interpreted in most media reports. Researchers at the University of Alabama Birmingham (UAB) studied people who consumed varied amounts of sodium in their daily diet. Not surprisingly, it found that people who consumed 6 or more grams of sodium each day had a higher risk of high blood pressure and cardiovascular disease. But it also found that people who consumed 1.5 grams or less each day had a higher risk of heart-related death. So the headline on the study concluded that consuming too little sodium could be harmful, just as consuming too much. But is that really what the study says? Read how Suzanne Oparil, director of the vascular biology and hypertension program in UAB’s School of Medicine, put it. “Importantly, the very large PURE study provides evidence that both high and low levels of sodium intake may be associated with an increased risk of death and cardiovascular disease outcomes,” she said. Notice what she didn't say. She didn't say the research had found a causation link – only a correlation. The media was quick to conclude that consuming less than 1.5 grams of sodium daily was harmful but that's not what the study says. It says only that people on a low-sodium diet are more likely to die from heart disease than people who consume 3 to 6 grams. Ask yourself – who exactly is on a low-sodium diet, one in which they consume 1.5 grams or less of sodium daily? Wouldn't it mostly be people with a history of heart disease, or people at higher risk of cardiovascular disease? Maybe they were people who once consumed 6 grams or more of sodium, until they developed heart disease and their doctor put them on a low-sodium diet. And might not people with existing heart disease, or high risk of heart disease, be the people most likely to die of heart disease? The interpretation of the study is somewhat controversial, since the U.S. government, in 2010, lowered its recommended sodium intake for children and adults to no more than 2.3 grams daily. The American Heart Association (AHA) recommends even less sodium – below 1.5 grams daily. The AHA was quick to criticize the PURE study, saying it contained several substantial “methodological issues” that limit its usefulness for developing guidelines for healthy sodium consumption. “The AHA has been concerned about the quality of these studies and strongly believes that other types of evidence, particularly the well-documented clinical trial relationship of sodium intake and blood pressure, provide the best scientific basis to guide policy,” said AHA President Elliott Antman. AHA is joined in its critique by the Center for Science in the Public Interest (CSPI), a consumer group that has long advocated reduced sodium consumption in the American diet. CSPI Nutrition Director Bonnie F. Liebman notes that many low-sodium consumers in the study may have already been sick, a “serious shortcoming” in the study. Liebman also notes that the same issue of the New England Journal of Medicine contained articles about 2 other sodium studies, one of which she says quantifies the massive toll caused by high-sodium diets. Consumers are eating too much sodium, she says, not too little. Some people can’t fathom eating a fungus and others can’t get enough of them -- whether white, button, portobello, crimini, oyster or shiitake. Whatever your stance on mushrooms, the people at the Mushroom Council hope you will include more (or at least, some) of the humble little vegetables in their diets. Mushrooms have long been celebrated as a source of powerful nutrients, particularly those of public health interest such as vitamin D and potassium. Plus, they can also help people meet the new 2010 Dietary Guidelines for Americans introduced Monday by the Departments of Health and Human Services (HHS) and Agriculture (USDA) which place continued emphasis on the importance of lowering sodium intake, eating plenty of vegetables, and choosing foods, like mushrooms, that provide nutrients of concern, like potassium and vitamin D.
Fresh mushrooms can be added to everyday dishes to provide an extra serving of vegetables and deliver additional important nutrients, like selenium, ergothionene and B vitamins. Mushrooms’ hearty and meaty texture makes for a satiating main dish. They’re also an ideal accompaniment to salads, pastas, stir-fry and omelets; and a flavor-enhancing topper for meats, poultry and fish. They pick up and complement subtle flavors, adding taste without weighing down the dish with calories, fat, cholesterol or sodium. The 2010 Dietary Guidelines recommend that you reduce daily sodium intake to less than 2,300 mg; and that specific populations, including people who are 51 and older and those of any age who are black or have hypertension, diabetes or chronic kidney disease, reduce daily intake to 1,500 mg. While consumers and the foodservice industry face the collective challenge to reduce sodium, there are certain foods, like mushrooms, that can help satiate the “craveability factor” they’re accustomed to with salty foods, but are ultimately low in sodium. Mushrooms are rich in umami (the 5th taste known for its savory, brothy, rich or meaty taste sensation), which counterbalances saltiness and allows for less salt to be used in a dish without compromising taste. Umami-rich foods, like mushrooms, act as a flavor multiplier -- adding depth of flavor. “Tasting Success with Cutting Salt,” a collaborative report from the department of nutrition at Harvard School of Public Health and the Culinary Institute of America, recognizes mushrooms as a tool to help decrease sodium. Still not convinced? Consider this: mushrooms are economical. They tend to be one of the least expensive vegetables in the produce section and can last a few days in the fridge. Some people can’t fathom eating a fungus and others can’t get enough of them -- whether white, button, portobello, crimini, oyster or shiitake. Whatever your stance on mushrooms, the people at the Mushroom Council hope you will include more (or at least, some) of the humble little vegetables in their diets. Americans who eat a diet high in sodium and low in potassium have a 50 percent increased risk of death from any cause, and about twice the risk of death from heart attacks, according to a study published today in the Archives of Internal Medicine. 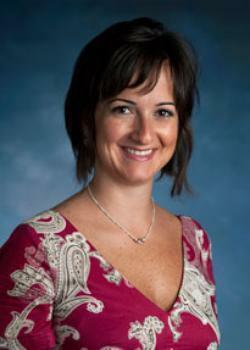 "The study's findings are particularly troubling because U.S. adults consume an average of 3,300 milligrams of sodium per day, more than twice the current recommended limit for most Americans," said Elena Kuklina, M.D., Ph.D., an investigator on the study and a nutritional epidemiologist with CDC's Division for Heart Disease and Stroke Prevention. "This study provides further evidence to support current public health recommendations to reduce sodium levels in processed foods, given that nearly 80 percent of people's sodium intake comes from packaged and restaurant foods. Increasing potassium intake may have additional health benefits," Kuklina said. The 2010 Dietary Guidelines for Americans recommends limiting intake of sodium to 1,500 milligrams per day for people 51 and older, African Americans, and those who have high blood pressure, diabetes, or chronic kidney disease—about half the U.S. population ages 2 and older. The dietary guidelines recommend that all other people consume less than 2,300 milligrams of sodium per day. In addition, the guidelines recommend that people choose more potassium-rich foods, advising 4,700 milligrams of potassium per day. Sodium, primarily consumed as salt, is commonly added to many processed and restaurant foods, while potassium is naturally present in many fresh foods. For example, cheese, processed meats, breads, soups, fast foods, and pastries tend to have more sodium than potassium. Yogurt, milk, fruits and vegetables tend to have less sodium and more potassium. Potassium-rich fruits and vegetables include leafy greens, such as spinach and collards, grapes, blackberries, carrots, potatoes and citrus fruits such as oranges and grapefruit. In general, people who reduce their sodium consumption, increase their potassium consumption, or do both, benefit from improved blood pressure and reduce their risk for developing other serious health problems. Adults can improve their health by knowing recommended limits for daily sodium intake, choosing foods like fresh or frozen fruits and vegetables, and unprocessed or minimally processed fish, meat or poultry, low-fat milk or plain yogurt, asking for foods with no or low salt at restaurants, and reading the nutrition labels of foods before purchasing can improve health for all adults. This is the first study to examine, using a nationally representative sample, the association between mortality and people's usual intake of sodium and potassium. The study analyzed data from the National Health and Nutrition Examination Survey (NHANES), a survey designed to assess the health and nutritional status of adults in the United States. Usual intake of sodium and potassium is based on dietary recall. CDC is working with public and private-sector partners at the national, state, and local levels to educate the public about the health effects of sodium and to reduce sodium intake. The agency is also enhancing the monitoring of sodium intake and expanding the scientific literature on sodium and health. Does losing one's memory and ability to think clearly have to be part of aging? Obviously not, as there are plenty of people in their 90s who are as sharp as a tack. So what accounts for some older people retaining their cognitive ability and others losing it? Canadian researchers pondering that question have shed some new light on the subject. They have concluded that older adults who lead sedentary lifestyles and consume a lot of sodium in their diet may be putting themselves at risk for more than just heart disease. They say they have found evidence that high-salt diets coupled with low physical activity can be detrimental to cognitive health as you age. The study by researchers Baycrest in Toronto and Institut Universitaire de Gériatrie de Montréal, may have significant public health implications, emphasizing the importance of addressing multiple lifestyle factors that can impact brain health. Most public health experts suggest people 14 years of age and older consume no more than 2,300 mg of sodium per day in their diet. For the purpose of the study, low sodium was defined as being below that amount, while high sodium consumption was set at nearly 3.100 mg, of higher, per day. Physical activity levels were measured using the Physical Activity Scale for the Elderly. "The results of our study showed that a diet high in sodium, combined with little exercise, was especially detrimental to the cognitive performance of older adults," said Fiocco. "But the good news is that sedentary older adults showed no cognitive decline over the three years that we followed them if they had low sodium intake." Voluntary efforts by industry to reduce sodium levels in the food supply have failed, according to comments filed with the Food and Drug Administration (FDA) by the nonprofit Center for Science in the Public Interest. CSPI urged the agency to create strong but realistic mandatory regulations to reduce sodium levels in restaurant and packaged foods. According to a recent survey commissioned by CSPI, the public sees the need to lower sodium; 71 percent of Americans indicated that the food industry had a responsibility to reduce the sodium content of their foods, and 58 percent support a government requirement to reduce the sodium in processed and restaurant foods. The U.S. government’s 2010 Dietary Guidelines for Americans recommends that people with hypertension, those who are middle-aged or older, and African Americans should consume no more than 1,500 milligrams of sodium per day. According to the Center for Disease Control, about 70 percent of adults fall into those categories, yet current average daily consumption is actually closer to 4,000 mg. Recently, the American Public Health Association passed a resolution that calls on FDA to begin regulating sodium in the food supply within one year and to establish a timetable for gradually reducing sodium in the food supply by 75 percent over 10 years. CSPI’s filing notes that reducing sodium consumption would save billions of dollars in medical costs, and upwards of 150,000 lives annually. Overwhelming evidence indicates that excess sodium levels pose significant health risks, but consumer education efforts are poorly funded and ineffective, according to CSPI, making efforts to reform dietary habits of Americans difficult. 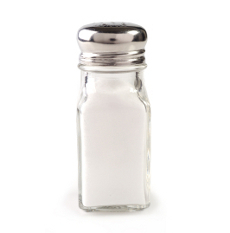 A recent survey indicates that 59 percent of Americans are “not concerned” about their sodium intake. As a result, an Institute of Medicine committee recommended mandatory regulations limiting sodium levels to improve public health and decrease healthcare costs. Many frozen dinners and canned foods contain high amounts of sodium. 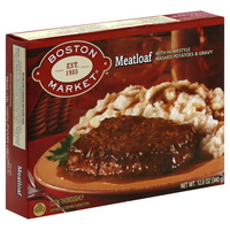 Boston Market frozen Meatloaf with Mashed Potatoes and Gravy has 1,460 mg of sodium per serving (about one day’s worth). Marie Callender’s frozen Creamy Chicken and Shrimp Parmesan has 1,200 mg of sodium (almost a day’s worth). One of the worst restaurant offenders is Applebee’s Provolone-Stuffed Meatballs with Fettuccine, which has 3,700 mg of sodium (more than two days’ worth). Denny’s Spicy Buffalo Chicken Melt has 3,760 mg of sodium (two and a half days’ worth). CSPI first petitioned the FDA in 1978 to reduce salt in processed foods. Besides urging the FDA to set mandatory limits on sodium content in the food supply, CSPI asked the agency to lower the Daily Value for sodium from 2,400 mg to 1,500 mg.
Health experts at the Centers for Disease Control and Prevention (CDC) are sounding the alarm over sodium. Almost all Americans, they say, consume more of it in their diets than they should. Too much sodium increases a person's risk for high blood pressure. High blood pressure often leads to heart disease, stroke, and other vascular diseases. Most consumers don't coat their food with salt and therefore, are not aware of how much sodium they are consuming. Most of our daily sodium intake comes from processed foods and meals served in restaurants. What are the biggest sources of excess sodium? The CDC counts 10. The report notes that the average person consumes about 3,300 milligrams of sodium per day, not including any salt added at the table. That's twice the recommended daily limit for about 50 percent of the population. The recommendation is 1,500 milligrams per day for people aged 51 and older, and anyone with high blood pressure, diabetes, and chronic kidney disease, and African Americans. The CDC has a special section of its website that can help you reduce sodium in your diet.